The active bird requires a cage with a minimum size of 24X24X36 in along with 2-3 perches for its nail grooming. 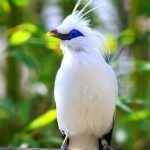 For aviary purposes, if you are doubtful about the suitable nest box, then offer different types of box to the birds and the breeding pair will choose anyone from them. 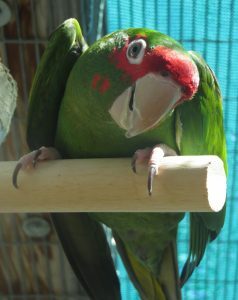 For mitred conures, 70°-80°F is the ideal temperature range, however, a little change is acceptable and bearable. 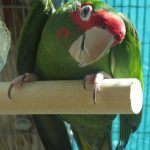 Being a jolly and enthusiastic bird, the pet mitred conure enjoy chewing toys or playing with them for the most of the part. 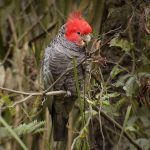 Also, since in the wild, it stays in flocks, its natural instinct doesn’t allow the bird to enjoy loneliness, rather some activities are the way to go. 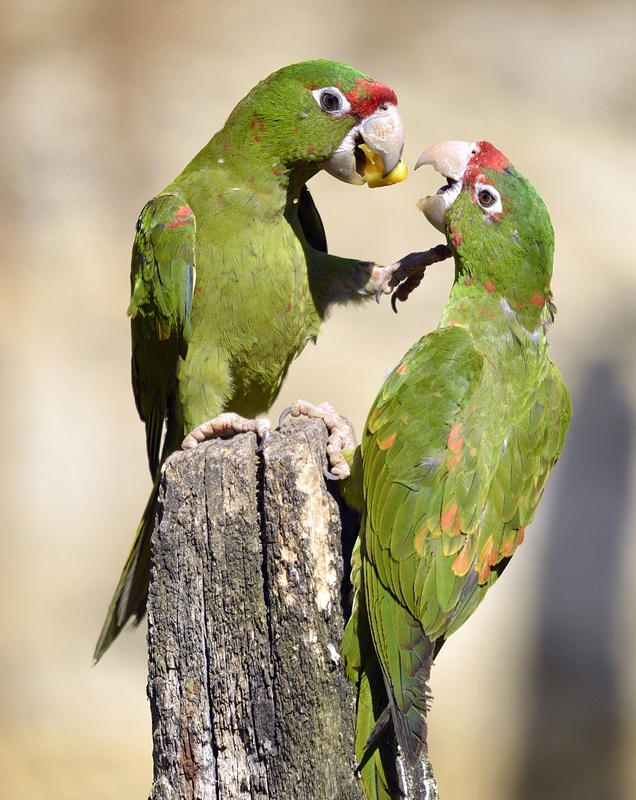 This conure has its share of mood swings for which the bird gets grumpy at times. 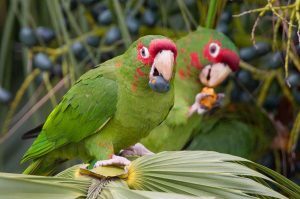 It can entertain you with many tricks inside or outside the cage but when it is suitable to be out of the cage is your prerogative. A playpen is a good alternative when you let it out of the cage. ‘Talking’ and chitchatting with its favorite human is sure to amuse others. Go for commercial pelleted food and provide fresh vegetables, fruits, and nuts in moderation. 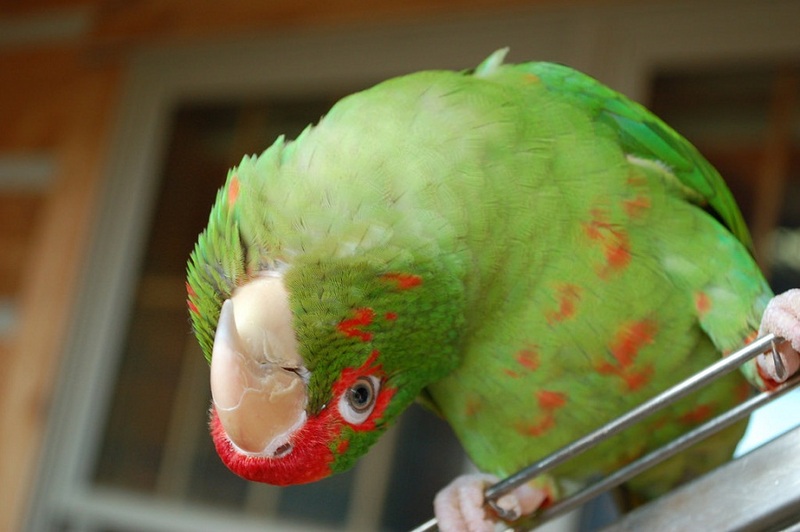 Both mental and physical aspects are to be given emphasis for a healthy and happy mitred conure. First and foremost, never keep it alone or it might bring the house down with its high-pitched voice. You need to understand that your attention is the key to keep the bird in a good emotional state. Teach him new words every now and then and it will be busy learning them, decreasing the tendency of screaming without a cause. 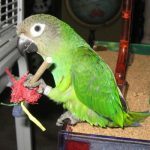 Also, bring various toys that the bird plays with to prevent boredom. 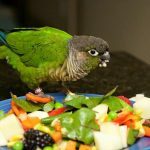 As mentioned earlier, after the bird is tamed and trained, make sure it spends at least a couple of hours outside the cage for its exercise. This will give the conure an outlet for its energy by wing flapping and flying. You must monitor the movement of the bird although. 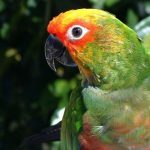 Since bathing is an important part and also a favorite thing for the conure, spray water on the bird daily at a certain time. The mitred conure gets affected by Pacheco’s disease, aspergillosis or respiratory infection, psittacosis and candidiasis. Besides these, feather plucking, sinus inflammation or cold are common. A professional vet will be able to diagnose and cure. 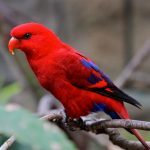 This bird costs around $500. 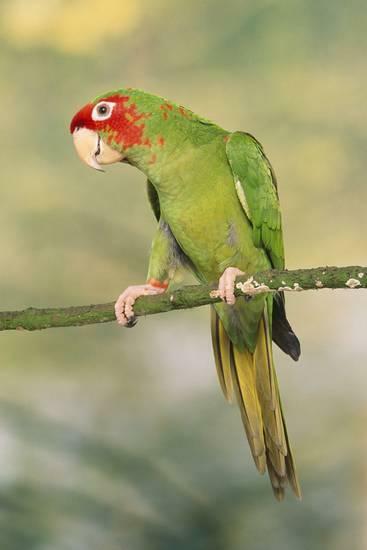 In 2006, some more subspecies have been introduced as a part of the nomenclature and they are P. m. chlorogenys, P. m. tucumana, and Psittacara hocking.